1. A presentation on the Parks and Recreation Department and potential budget requests. (19-004) Presentation only. 2. 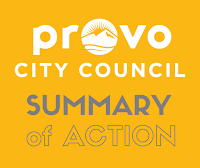 A discussion regarding the Provo City Five-Year Capital Improvement Plan for FY 2019-2020 (part 1 of 2). (19-035) Presentation only. Presentation only. This item will be scheduled for a future Work Meeting. 4. A discussion regarding a proposed ordinance amendment prohibiting the sale of dogs, cats, and rabbits from commercial animal establishments (19-030) Presentation only. This item was already scheduled for the Council Meeting on March 19, 2019. 5. A discussion regarding the proposed Community Land Trust Request for Proposal/Request for Qualifications. (19-032) Presentation only. 6. A policy discussion related to the Neighborhood Housing Services of Provo proposal with regards to homes purchased with CDBG/HOME Dollars. (18-076) Presentation only. This item will be brought to a future Council Meeting. 7. A discussion regarding a proposed ordinance to amend Downtown Streetscape standards to clarify right-of-way improvements for 100 West. City-wide Impact. (PLOTA20190007) Presentation only. This item was already scheduled for the Council Meeting on March 19, 2019. 8. A discussion about Wastewater Recommendations, Treatment Resolution, and Code Changes. (19-037 and 19-038) Presentation only. This item was already scheduled for the Council Meeting on March 19, 2019. 1. An ordinance to amend Downtown Streetscape standards to clarify right-of-way improvements for 100 West. City-wide Impact. (PLOTA20190007) Approved 7:0. 2. A resolution appropriating $162,200 from wildfire response revenues in the Fire Department General Fund for expenses related to equipment and facility improvements applying to the fiscal year ending June 30, 2019. (19-034) Approved 7:0. 3. An ordinance amending the official Neighborhood Map. North Timpview and Riverbottoms Neighborhoods. (19-039) Approved 7:0. 4. An ordinance amendment Provo City Code regarding the sale of dogs, cats, and rabbits at commercial animal establishments. (19-030) A motion to table the item indefinitely was approved 7:0. 5. 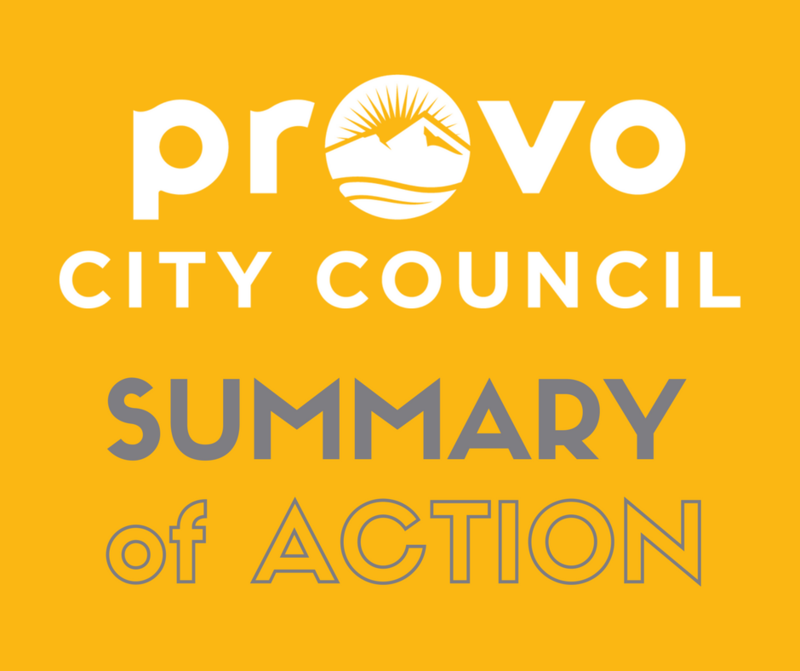 An ordinance amending Provo City Code to repeal and remove references to the Student of Higher Education and Young Adult Advisory Board. (19-033) Approved 7:0. 6. An ordinance correcting deficiencies in the Campus Mixed Use Zone pertaining to design regulation identified by Community Development. (PLOTA20190025) This item was continued because the Planning Commission did not meet on March 13, 2019. 7. An ordinance amending the Zone Map classification for approx. 3.724 acres of real property generally located at 2400 N 650 E to include a PD Performance Development Overlay Zone in the R1.10 Zone. Rock Canyon Neighborhood. 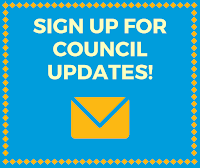 (PLRZ20190029) This item was continued because the Planning Commission did not meet on March 13, 2019. 8. A resolution of the Provo City Municipal Council regarding site and process selection for a new water reclamation facility. (19-037) Approved 7:0. 9. A resolution of the Provo City Municipal Council regarding loan authorization for the first phase of a new water reclamation facility. (19-038) Approved 7:0. A motion to resume the closed session was approved 7:0.